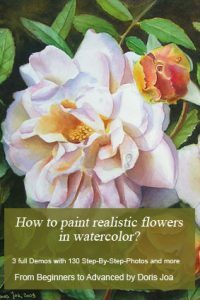 In my previous post I mentioned that I was working on a pink Rose in oil. Today I finished this painting. It needed longer then I thought, because I really needed to get a feeling for the oil colours again. But with each brushstroke I was getting more confidence. 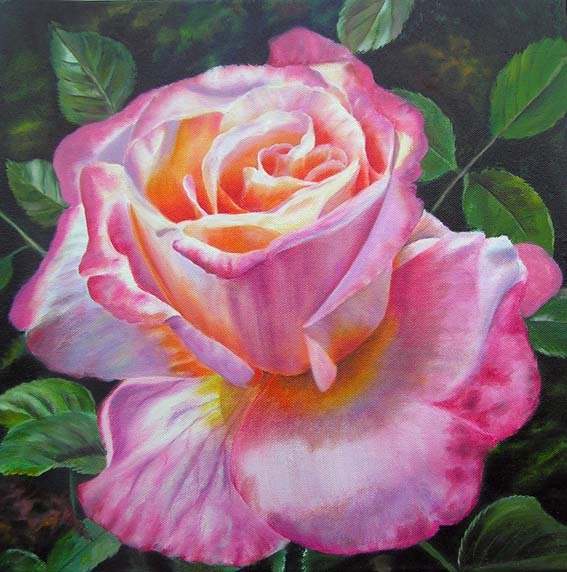 Currently I am working on another Rose in oil. 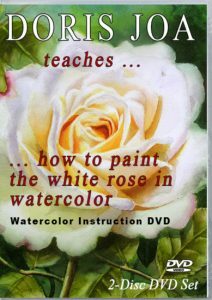 It is a creamy white Rose. The german name is Rose Elfe, which means in english: Rose Fairy. Here is a photo of my working process. 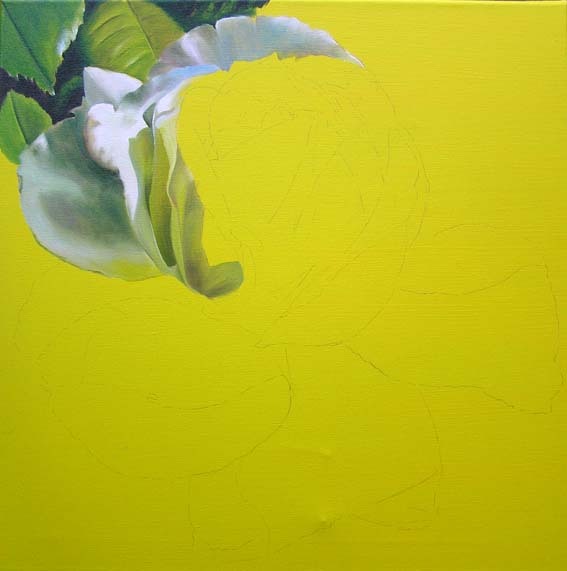 As you can see I covered my white canvas with a lemon yellow underwash in acrylic. I chose acrylic because it dries very fast. I am right handed and so I started in the left corner. I do not work in layers. 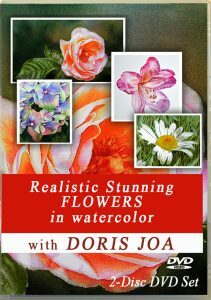 It is totally different to my watercolors. 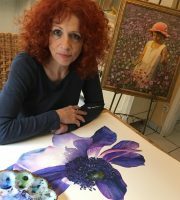 I paint in a direct way using opaque and transparent colours. I apply my colours just where I see them and then blend them together. It also allows me to soften my edges immediately. But this doesn’t mean that I never have to go back to some areas. Often I see things later where I need to add another layer or to darken areas or to lighten then or to change the colours a bit. 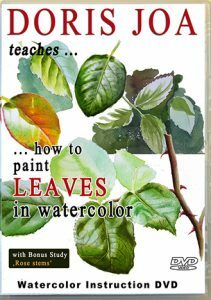 But it gives you a good suggestion about how I work with oils. 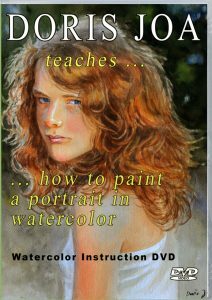 I am using only Walnut oil and Walnut Alkyd Medium from M. Graham – no turpentine – nothing else.